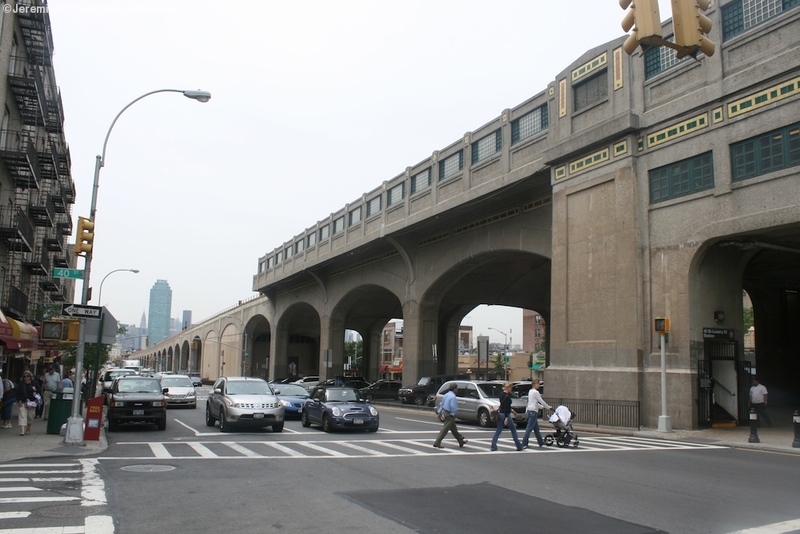 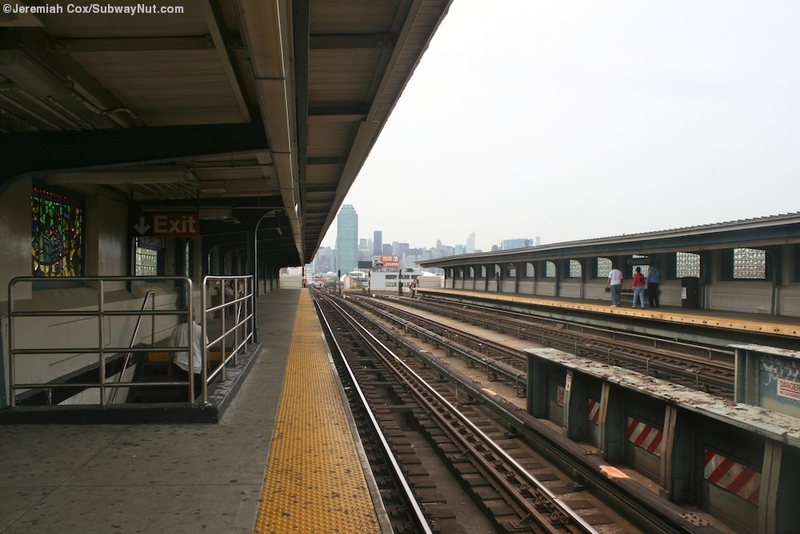 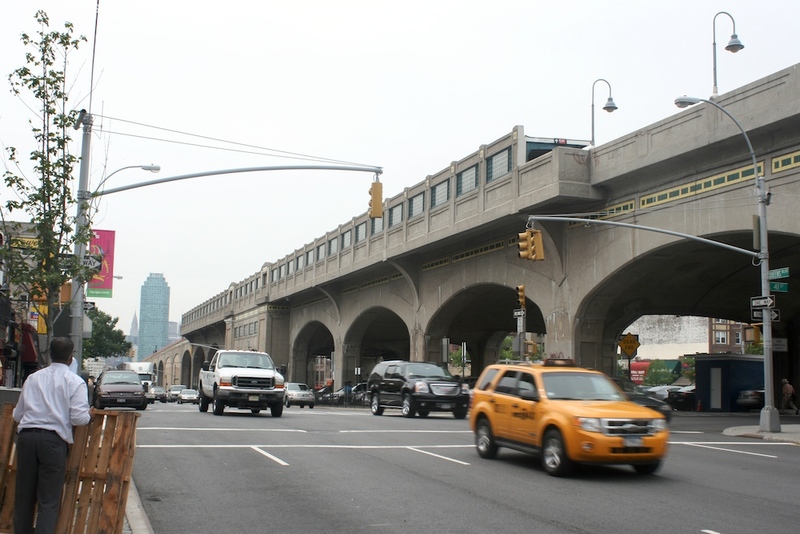 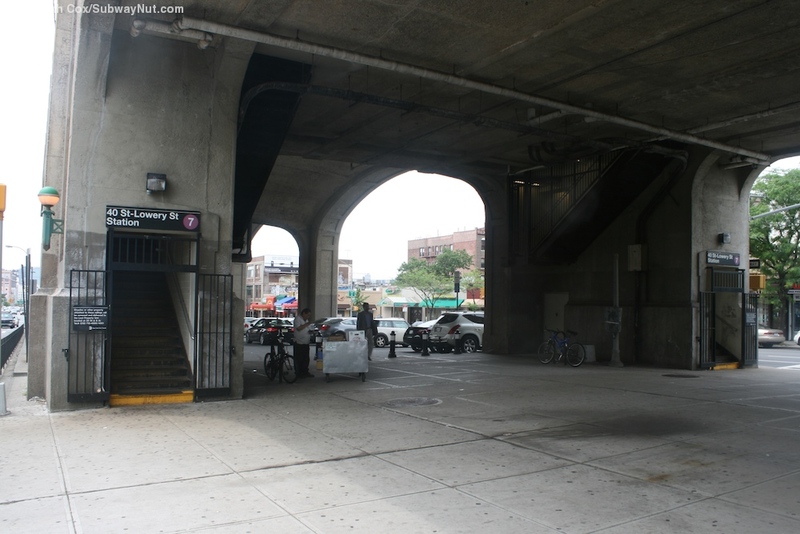 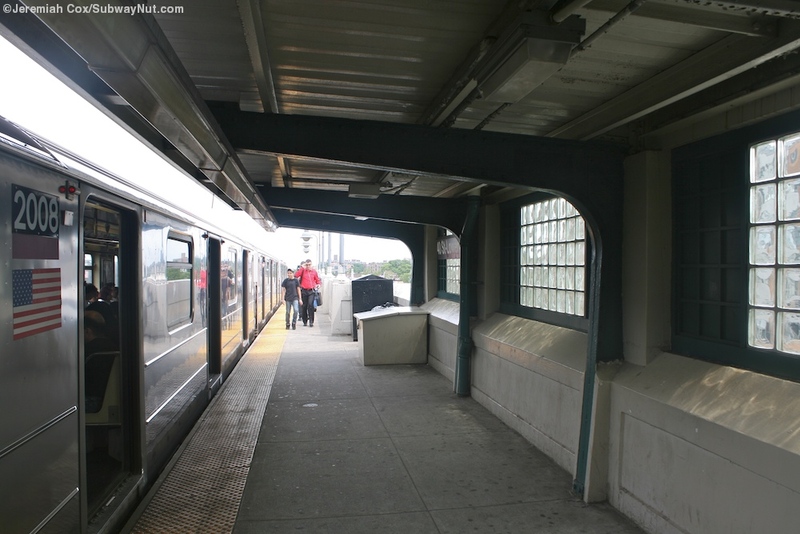 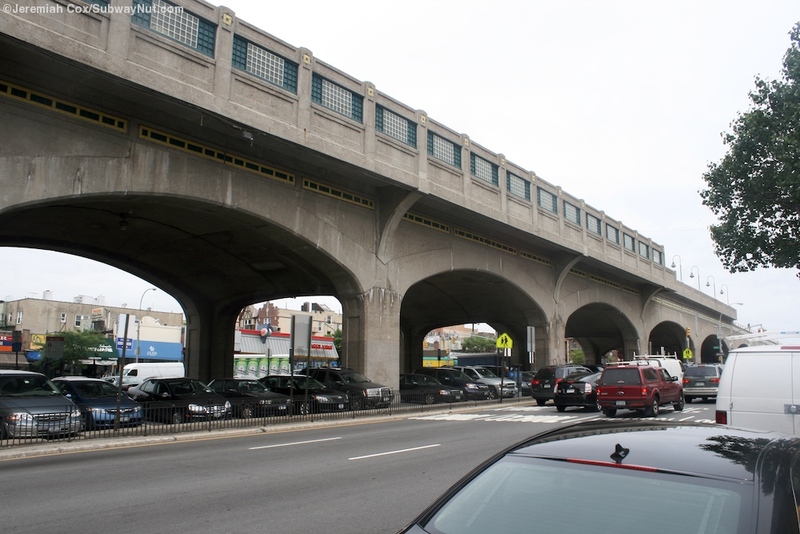 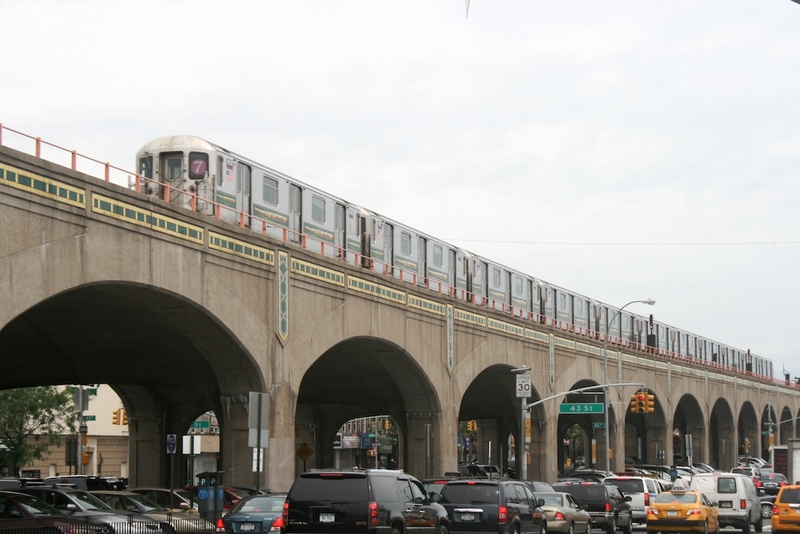 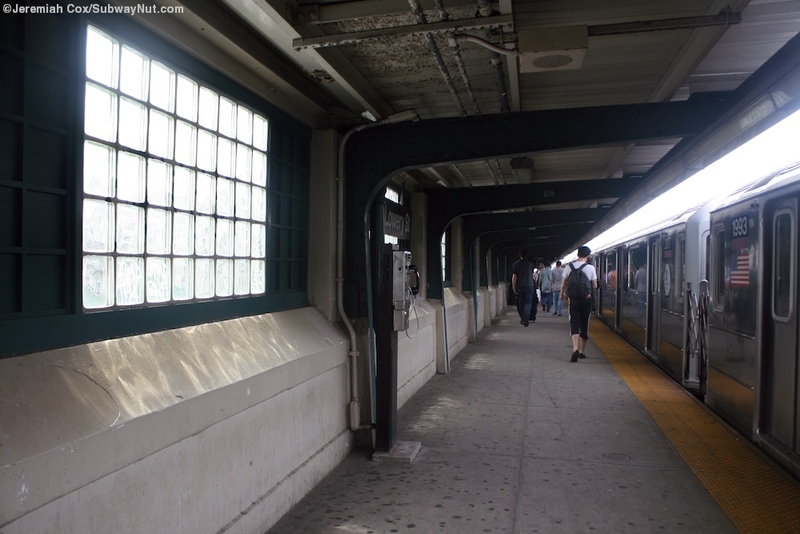 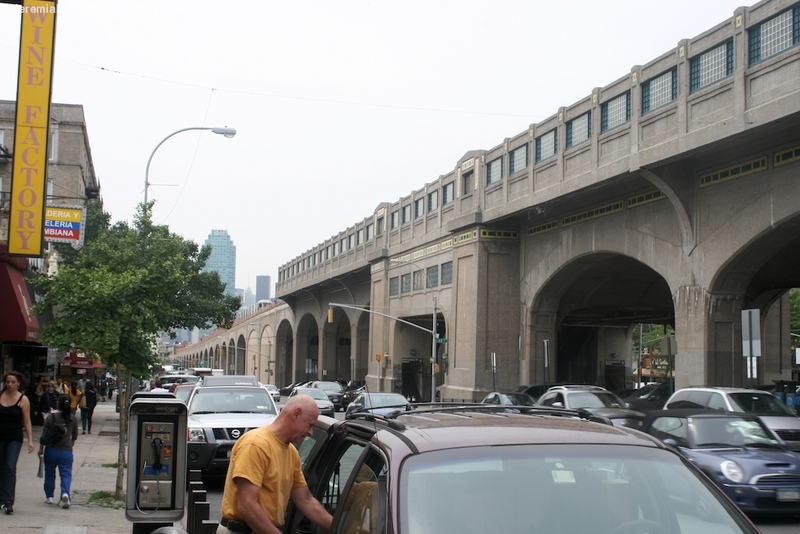 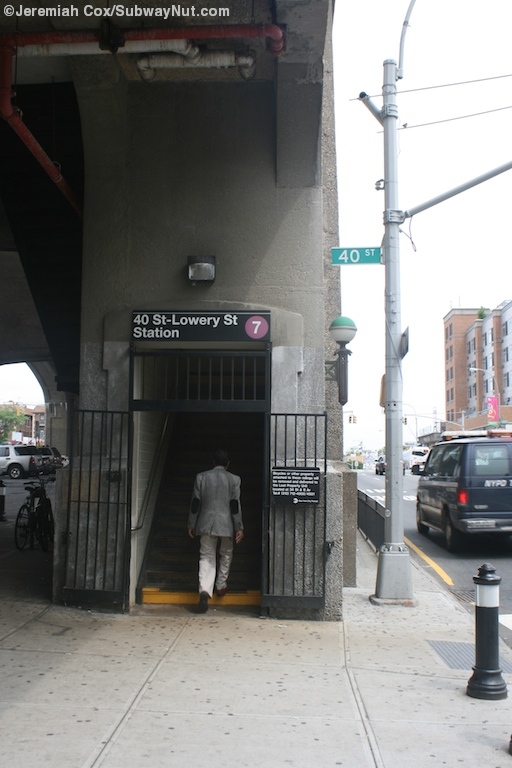 40 Street-Lowery St is located on the concrete elevated viaduct above the median of Queens Blvd with just parking beneath. 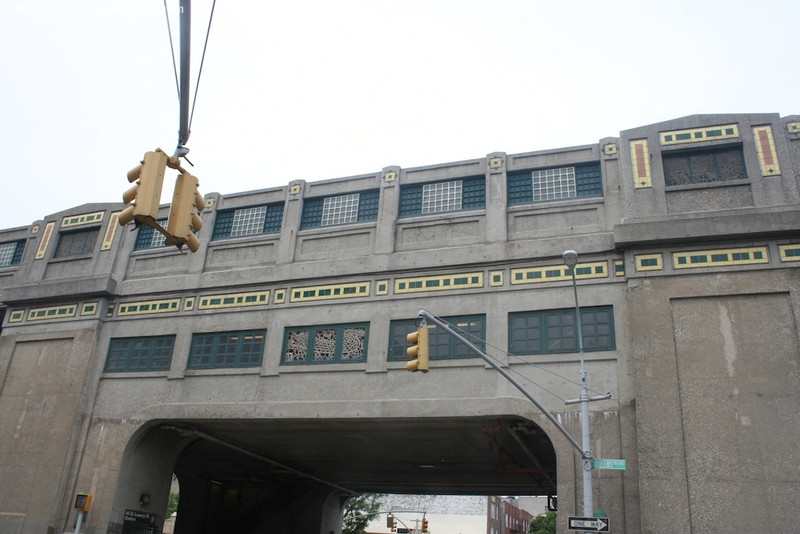 The sides of the elevated are decked out in concrete and decorative green and yellow tiles. 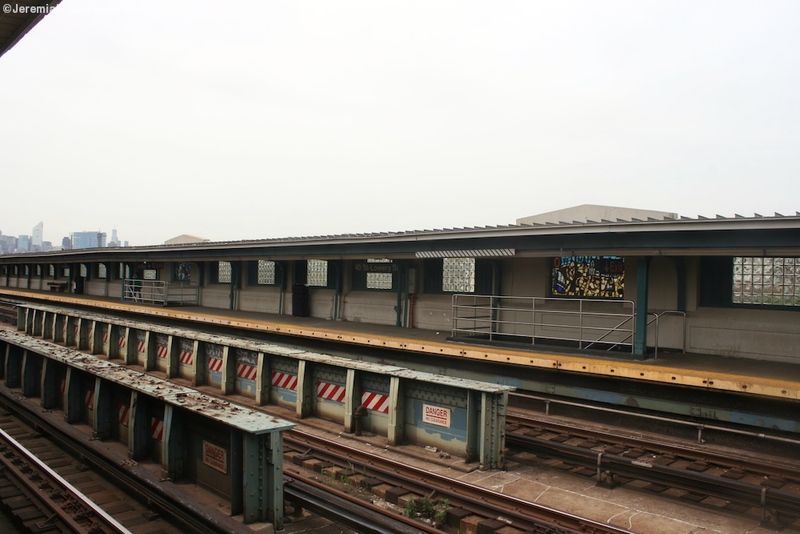 The station is a local stop with two side platforms for the three track lined with concrete walls with little semi-translucent blocks letting more natural light in and a roof that is cantilevered from the sides of the elevated structure with no intermediate columns. 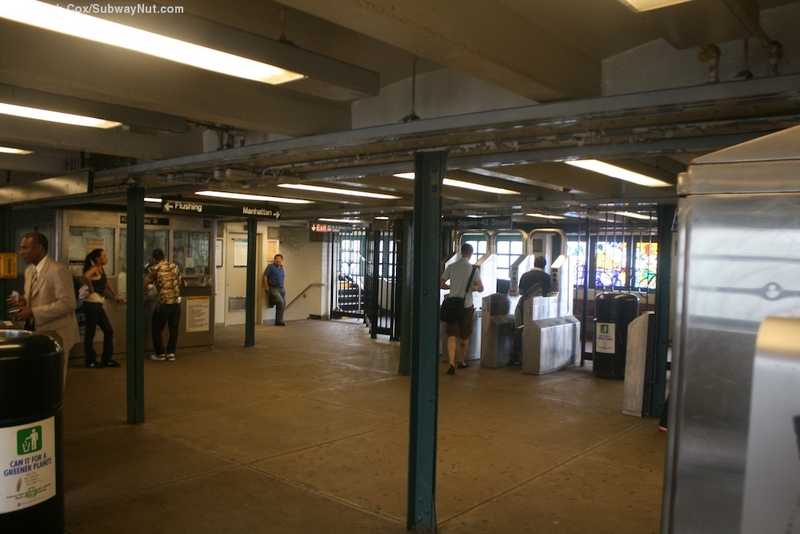 The extreme ends of the platforms just have a line of lampposts and a low concrete walls, the station has a single exit in the middle of the platforms where two staircases lead down to a mezzanine area beneath the tracks where there is no free crossunder with each set of staircases leading to its own bank of turnstiles with one token booth between them. 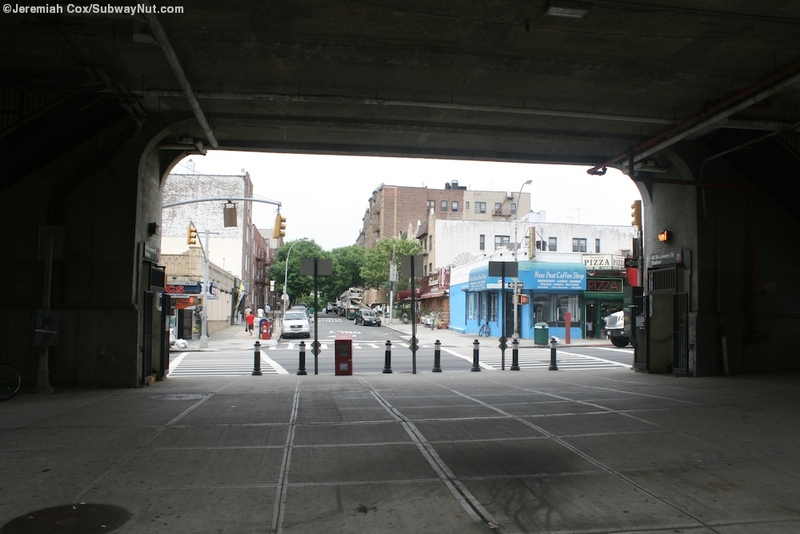 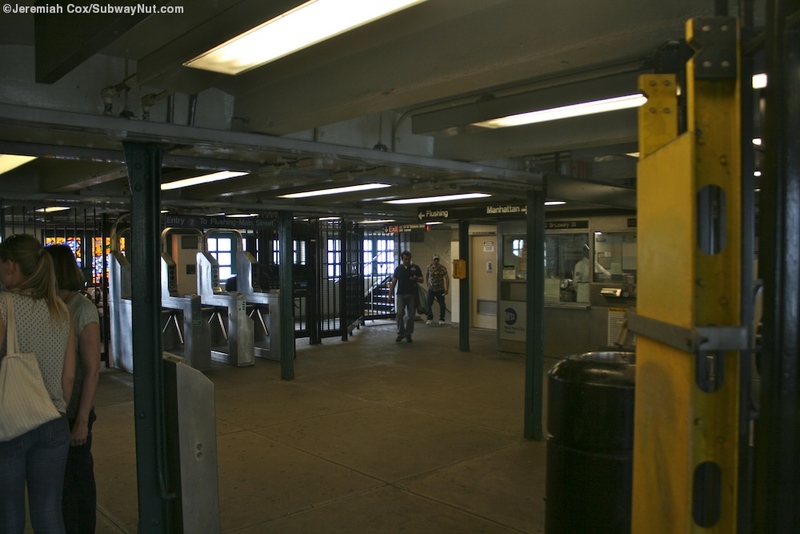 This in turn leads out to street stairs on all four corners of the pedestrian plaza formed in the middle of Queens Blvd between its central parking lots beneath the el that 40 Street is split into two to form.